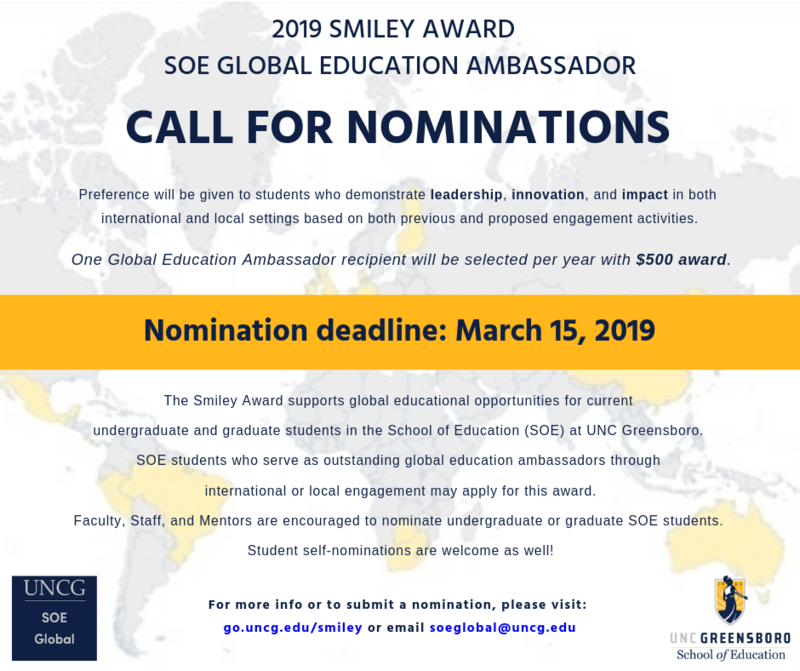 The Smiley Award supports global educational opportunities for current undergraduate and graduate students in the School of Education (SOE). Undergraduate or graduate SOE students who serve as outstanding global education ambassadors through international or local engagement may apply for this award. The nomination deadline is March 15. Click here to learn more. This entry was posted in Global and tagged international students, soe global, study abroad, unc greensboro, uncg soe. Bookmark the permalink.